Perched over a mile above sea level, this mountain enclave is an ideal destination for luxury private jet travelers looking to escape the metropolitan chaos of home with a luxurious outdoor excursion. 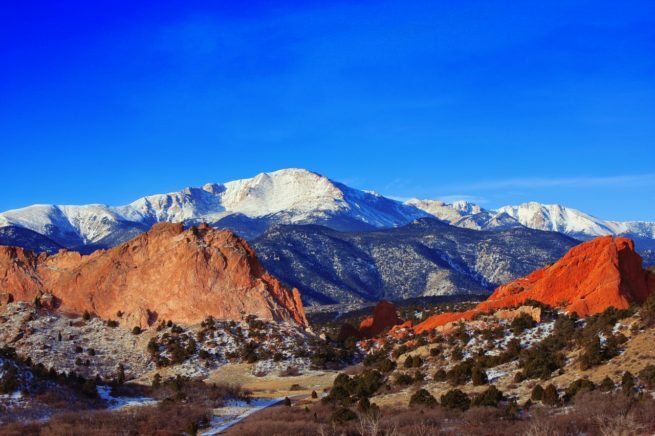 The city is situated at the base of Pike’s Peak, one of America’s most famous mountains, and has a ton of outdoor attractions and activities for visitors to enjoy. From luxury hotels and scenic trails to world-class skiing and gourmet dining, Co. Springs has something for everyone. The best way in and out of the city is via luxury private flight, and Private Jets Colorado is the best company to help you do just that. Our Wyvern certified jet charter representatives are available all day, every day. We aim to provide you with a transparent, comprehensive, and hassle-free booking process so that you do less worrying, and more enjoying. Colorado Springs Jet Charter can arrange everything from multi-leg private flights with gourmet in-flight catering to luxury ground transportation and private helicopter lifts. Request a quote now, or give us a call to book your luxury private flight to Colorado Springs, CO.
As a major destination for travelers from all over the world, Colorado Springs has developed an extensive array of lodging options that span every possible niche. Modern design hotels, boutique villas, and charming lodges are only the tip of the iceberg when it comes to lodging choices. For private jet travelers that prefer the absolute best, The Broadmoor hotel is the area’s most celebrated luxury tradition. Families have been making The Broadmoor their “go-to” option since 1918, and with a full-service spa, several pools, and a golf course on site, it’s easy to see why. Regardless of where you stay in the city, you’re sure to have a great time. With so many lodging options, though, choosing the right one for you can be a bit daunting. We’ve compiled a list of the absolute best hotels for luxury private jet travelers in the area. Based on Colorado Springs Jet Charter client feedback, online reviews, amenities offered, and location, there’s sure to be something on the list that suits your needs; read on to check it out. As a state, Colorado is known for amazing scenic highways, world-class ski summits, and a thoroughly outdoorsy lifestyle. As a city, Colorado Springs is known for taking all of those things to the next level. Charter a luxury private jet to the area and you’ll see exactly how true this is. 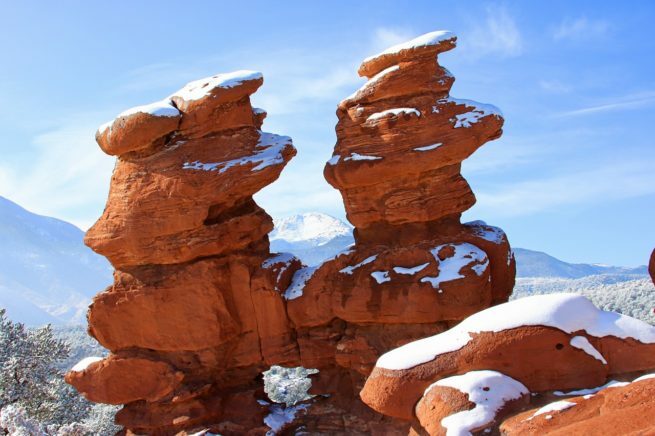 Attractions at the city’s doorstep include over 300 towering sandstone rock formations, the white-tipped Pike’s Peak mountain, carefully curated museums, and a variety of other attractions that private jet travelers are sure to enjoy. Colorado Springs isn’t just a town for lovers of the great outdoors. There’s a ton of nightlife diversions with venues purveying libations that cover all of the bases. Flashy cocktails lounges, old-timey speakeasies, sports bars and hole-in-the-wall music venues are all represented in Colorado Springs’ wonderfully walkable downtown. If you’re hoping for a memorable evening spent tantalizing your taste buds in a refined space, then look no further than the iconic Penrose Room. With an atmosphere that at once exudes both coziness and elegance, this Five-Star, Five-Diamond restaurant takes Continental cuisine to new heights. For private jet travelers that are more keen on having a few drinks in a slightly more casual setting, there are plenty of options. A popular venue with the locals for its intimate atmosphere, delicious tapas, and interesting craft beers, Nosh is great place to spend an evening with friends. Try their Elderflower Sangria; it’s to-die-for. Whatever you end up doing in the area, you’re sure to have a great time relaxing in the cool Rocky Mountain air. There are attractions that stand out above the rest, however, so we’ve compiled a list of the area’s best attractions. Read on to learn about more things to do after your private flight to Colorado Springs. Private Jets Colorado utilizes the following airports to fly clients privately to/from Colorado Springs and neighboring areas. Request a Quote or give us a call at 1-888-987-5387 to speak with one of our Colorado Springs Private Jet Charter agents for your next luxury vacation, business trip, or special event.